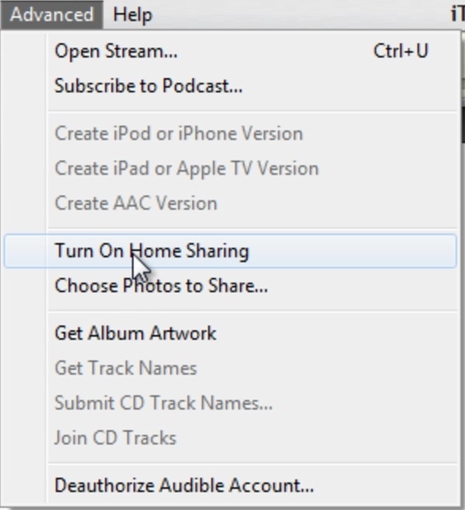 How to Share Music Between Two Computers with Home Share? In this tutorial you would learn how to share music between two computers with home share. Just follow these simple steps and you would be sharing music with other users in your local network in no time. Open up the application and go to the “Advanced” tab and select the “Turn On Home Sharing” option. Now you would be required to log in your iTunes account. If you don’t have an iTunes account you can simply click on the “Need an Apple Id” option. Input your Apple ID and password and hit enter. 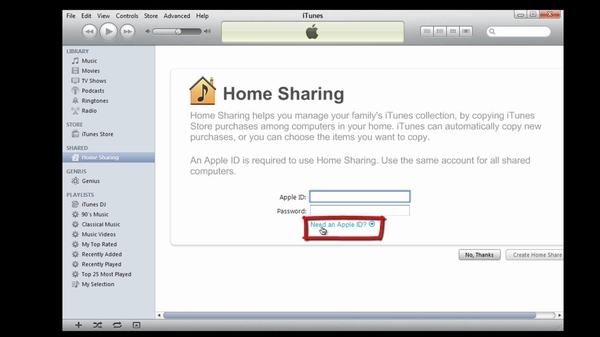 Once the processing is completed, Home sharing would be activated with your account. Now all you have to do is go to Edit and choose the Preferences option. With that done move over to the “Sharing” tab and click the check box titled “Share my library in my local network”. Choose the “Share selected playlists” option and select the content you want to share. And that’s it. Now all you have to do is follow the same steps and configure the same settings in other computers that you want to share your content with. Once done, other users (with whom you have shared your content) would be displayed in the left panel. To get the content from other users all you have to do is drag content from those users to your library.